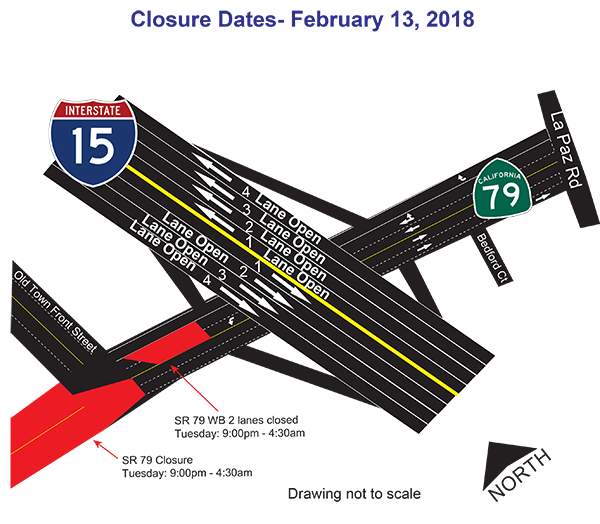 Night Work and Lane Closures Planned for the Week of February 11, 2018. · Closure of SR-79 west of Old Town Front Street is planned each night on February 13 to February 16, 2018. Work hours will begin at 9:00 pm and finish by 5:00 am the following day for each night of work. · Closure of center lanes of Old Town Front Street is planned for the night of February 13, 2018. Work hours will begin at 9:00 pm and finish by 5:00 am the following day for each night of work. 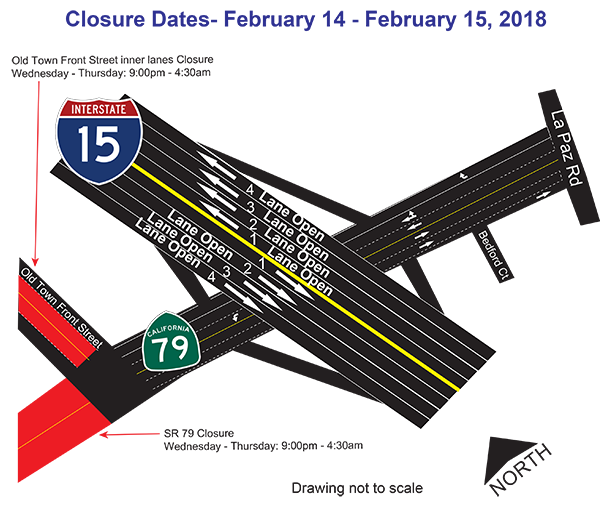 · Closure of SR-79 S inner, eastbound lanes is planned each night on February 14 to February 16, 2018. Work hours will begin at 9:00 pm and finish by 5:00 am the following day for each night of work. No Closures Planned for the Week of February 18, 2018.